In real life, you could wait for a crisis that will bring out the lion in you or you can start now to practice habits that will build up your courage. Try these 3 steps that will help you to overcome the doubts and fears that hold you back from fulfilling your dreams. 1. Reframe the situation. The words you choose to describe an event can have a profound effect on how you feel about it. View challenges as opportunities and doesn't exaggerate negative consequences. When you're stuck in a long line, think of it as a chance to catch up on reading your emails. 2. Evaluate inaction. It's natural to want to run away from the things that scare you, but avoidance comes at a high cost. You might lose a friend because you sidestep a sensitive conversation where you really could work out your differences. 3. Manage stress. Maybe you're not even sure about the source of your fears. Dealing with daily stress reduces your anxiety levels, so find relaxation practices that work for you such as meditation or listening to music. 4. Seek support. Asking for help can be a sign of courage. Reach out to loved ones or a professional counselor if you need help. 5. Start small. Major undertakings become less overwhelming when you break them down into more manageable parts. Work your way up to asking your boss for a raise by being more assertive in situations where you have less at stake. Dream big. Courage expands your vision. Imagine what you would do if you could set aside any limiting beliefs. Find something that you value more than your pride or comfort. Clarify your goals. To get tangible results, it’s crucial to translate your vision into a practical plan of action. Identify exactly what you're going to do. Create a timeline. You're more likely to stay on track if you decide what actions you will complete today or by the end of the month. Deadlines increase accountability. Keep a journal. Put your plan into writing and post it someplace where you can see it. That way it will stay fresh in your mind. Think positive. Focus on what you have to gain. Use your self-talk to give yourself reassurance and encouragement. Identify areas where you want to make changes, and be willing to laugh at yourself. Get organized. Cleaning up your surroundings can make you feel more relaxed. Clear off your desk each evening and cut down on clutter at home. Come prepared. Doing your homework helps you to place more trust in your abilities. Research a company before going on a job interview or talk with a carpenter before tackling a home improvement project. Stay fit. Caring for your health and wellbeing is one way to value yourself. Eat a balanced diet, exercise regularly, and get adequate sleep and rest. List your accomplishments. Boost your morale by reviewing your track record. Your past victories prove that you can succeed at future tasks. Stretch your skills. You'll have more confidence in your abilities when you consistently work at increasing your competence. Take business courses online or study a foreign language. Train yourself to be brave. 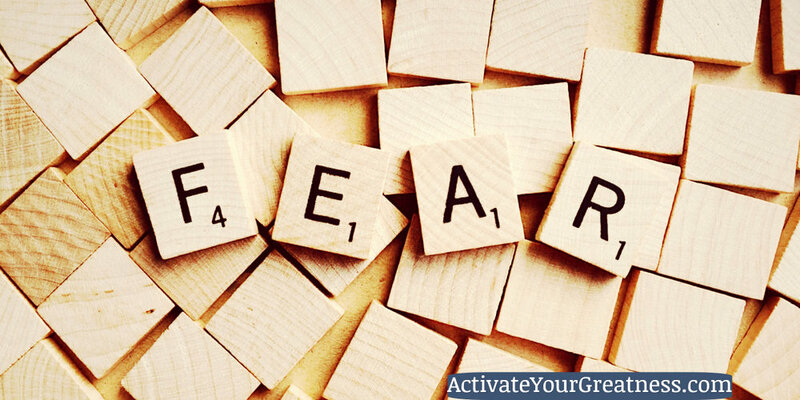 Learn to master your fears and persist through challenges. Enjoying a more meaningful life is the ultimate reward of building up your courage. Joe Mitchell Esquire is a High-Performance Coach, who has logged over 35 years of in-depth study of personal and spiritual development. In his studies, he has done hundreds of self-development courses, spiritual retreats, and health-related workshops. He is a certified yoga teacher, meditation teacher, EFT Practitioner, NLP Practitioner and a graduate of three coaching academies. He was also a member of a religious order for 5 years. In 2016, after a 20-year career as a criminal and personal injury attorney, he decided to turn his heart's passion into a career as a Success Coach, Motivational Speaker, and Trainer. For information on Joe’s programs and high-performance videos and writings, and to reserve a free High Performance Strategy Session, visit activateyourgreatness.com.